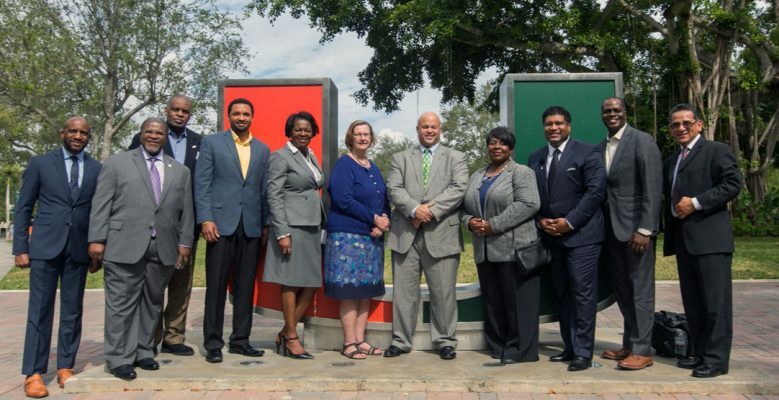 The National Black MBA Association® (NBMBAA®) hosted its first Academic Advisory Council Forum on Tuesday, January 23, 2018, at the University of Miami School of Business. The council was established to support the National Black MBA Association® in offering best practices and strategies in serving graduate students across the country that are members of the Association. During the meeting, attendees convened and dialogued around several questions surrounding the future of work for African American graduate students, including what NBMBAA® should do in 2018 and beyond to prepare their members to be well equipped for The Future of Work and what are current and incoming students saying about their intended career paths. Council members shared compelling success stories, in addition to key programs that had proven to be beneficial for diverse students in mapping toward a career aligned with their passion and skills. Attendees included deans, associate deans, assistant directors and directors from several top universities, including Emory University, Georgetown University, University of Miami, The Ohio State University and more. · Important to help direct students to career paths that are growing versus those that are being replaced by technology and automation. · Students want honest discussion and step-by-step guidelines about the world of work, what they will encounter and how to prepare. · The current generation is so focused on the present and too connected with technology, resulting in many not taking a long-term approach or thinking long-term about their future. This has been the biggest challenge for most institutions in guiding students to successful career tracks. · There are key, critical skills that students need: interviewing skills, communication and emotional intelligence coaching. · The Ohio State University has developed a leadership program in partnership with Key Bank that focuses on the development of leadership and communication skills. The next Academic Advisory Council will convene during the National Black MBA® 40th Annual Conference and Exposition in Detroit, Michigan September 25-29, 2018.